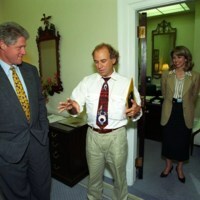 Location is exactly "White House"
President Clinton chats with musician Jimmy Buffet in the Outer Oval Office area. 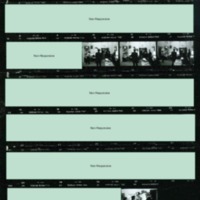 Nancy Hernriech is present in the photo. 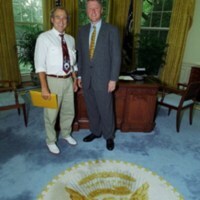 President Clinton poses for a photo with popular music artist Jimmy Buffet in the Oval Office. 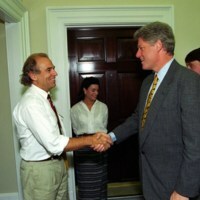 President Clinton greets musician Jimmy Buffet in the Outer Oval Office area.